Princess Laurentien has added her voice to calls for two Armenian children who are facing deportation to be allowed to stay. Howick, 13, and his 12-year-old sister Lili went into hiding last week after the Council of State ruled they could be sent to Armenia, even though they have never lived there. The children were born in Russia and spent the last 10 years in the Netherlands. Their Armenian mother, Armina Hambartsjumian, was ordered to return to her homeland a year ago, but sent the children to a secret address before being deported. In a letter to AD on Monday she said they had been taken to a ‘safe place’ in the wake of the administrative court’s decision. 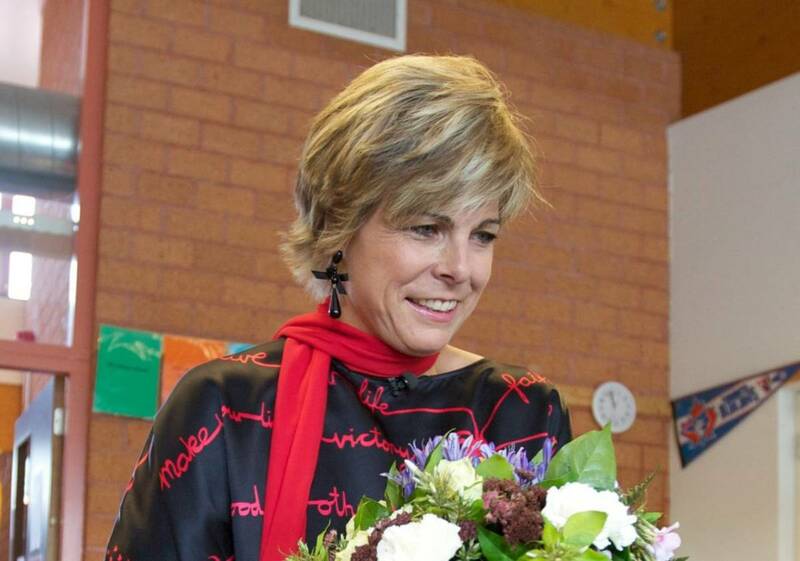 Princess Laurentien, who is married to former queen Beatrix’s youngest son Constantijn, said the children deserved ‘stability and the feeling that they belong here’. She echoed the words of comedian and columnist Youp van ‘t Hek, who expressed his dismay in Saturday’s NRC that ‘not one of the 150 members of Parliament has a creative solution for these two innocent children’. ‘I can’t and don’t want to judge the situation, but I have a great deal of sympathy for what these children are going through,’ she told NPO Radio 5. Mrs Hambartsjumian was deported after having several asylum claims turned down by the Dutch authorities. The two children were placed with a foster family a week after they first went into hiding last year, but on August 24 the Council of State ruled that junior justice minister Mark Harbers was not obliged to give them residency permits. The Dutch government has said Howick and Lili should be reunited with their mother, but there are reports that she is unable to care for them. Mrs Hambartsjumian said they were suffering from post-traumatic stress disorder and the stress would increase if they were ordered to live in Armenia.